The Valero refinery in Benicia is performing a controlled shutdown of its entire facility in the wake of recent heavy smoke emissions that prompted health advisories, city officials said Sunday morning. Valero told the city shortly after 9 a.m. Sunday about the refinery’s plan to perform the shutdown, said Benicia spokeswoman Irma Widjojo. The shutdown will happen over multiple days and result in visible flaring, Valero officials told the city. Valero officials have not responded to requests Sunday morning for comment. The thick smoke billowing from the refinery over Solano and Contra Costa counties from the Valero refinery is also being investigated by the Bay Area Air Quality Management District. The smoke was coming from a flue gas scrubber stack at the refinery and started sometime last week, according to the air district. Over the past week, the air district has issued seven notice of violations for excess visible emissions and public nuisance to the refinery. A monitoring van will drive throughout Benicia to gather ground level emissions data, air district spokeswoman Lisa Fasano said Sunday. Before Valero’s announcement of a controlled shutdown of the refinery, Benicia city officials issued an advisory about 7:30 a.m., warning residents with respiratory issues to stay inside. A concentration of particulates from the refinery has become higher over the past 24 hours, according to the city. The emissions contain coke, a byproduct of the refining process that is composed primarily of carbon particles, according to the city’s advisory. So far, testing shows no heavy metals at harmful levels in the emissions, but the smoke may cause discomfort and can worsen respiratory conditions such as asthma, city officials said. The air district also warned that elderly persons, children and individuals with respiratory illnesses are particularly susceptible to elevated air pollution levels and should take extra precautions to avoid exposure. Valero officials did not reply to a request for comment about the refinery emissions. The city is working with Valero on the issue and has partially activated the City’s Emergency Operations Center. The City has also been in active contact with the Solano County Environmental Health Department, a physician of the Solano County Public Health Department, as well as the air district, Widjojo said. The Benicia Unified School District and Solano County’s Office of Emergency Services have also been notified as precaution. I don’t ever recall EXXON ever having this problem? In a health emergency situation such as this, for Valero not to respond to requests for comment is incredibly dumb pr. No wonder residents who live near area refineries despise them. The ignorance of your comment shows how little you know about oil refineries. maybe you should do some research and see what actually comes from there. The next time you go to Starbucks to get your cup of coffee, I think about the cup it comes in. Or the electricity that powers your house, don’t you think that might be due to hydrocarbons? How do you think most of those generators that produce the electricity turn? Same with your electric car, where do you think the electricity comes from. Don’t be ignorant. 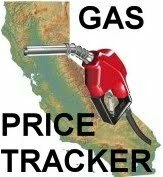 Hang on to your gas prices. Nothing to worry about, fellow citizens! The BAAQMD is on the case! Driving on Route 4 we could clearly see the haze. There was enough smoke that I could not point to the Sun in the sky. So where’s the plume going, or is there no wind? Is that what smelled like smoke while I pulled weeds yesterday? This Refinery is strictly non-union. They claim to have VPP certification which is the highest level of Cal OSHA safety. I work out there, and I can tell you they do cut a lot of corners. Nothing like the other refineries in the Bay Area, which operate in a controlled and safe method. Next post: City Of Concord Expected To Reject Chick-fil-A’s Plan To Build Restaurant On Willow Pass Rd.